Huddersfield have failed to win in their last 10 matches in Premier League. Fulham have conceded 2 goals or more in each of their last 5 away matches in Premier League. Huddersfield conceded at least 1 goal in each of their last 7 matches in Premier League. Fulham have lost their last 4 matches in Premier League. Huddersfield have failed to score in their last 5 home matches in Premier League. 80% of Fulham’s matches had over 2.5 goals scored in Premier League. Huddersfield have failed to win in their last 5 home matches in Premier League. Fulham have failed to win in their last 7 matches in Premier League. Huddersfield have lost their last 3 home matches in Premier League. Fulham have conceded 2 goals or more in each of their last 4 matches in Premier League. 70% of Espanyol’s matches had under 2.5 goals in La Liga. Athletic Bilbao have drawn their last 4 away matches in La Liga. Espanyol have won their last 4 home matches in La Liga. Espanyol have scored the opening goal in 80% of their matches in La Liga. 70% of Athletic Bilbao’s matches ended up in a draw in La Liga. Athletic Bilbao have failed to win in their last 9 matches in La Liga. 88% of Espanyol’s conceded goals were conceded away in La Liga. Athletic Bilbao have been undefeated in their last 4 away matches in La Liga. Sport Recife conceded at least 1 goal in each of their last 7 matches in Serie A (Brazil). 70% of Sport Recife’s points have been earned at home in Serie A (Brazil). 71% of Vejle BK’s matches had under 2.5 goals in Superligaen. Vejle BK conceded at least 1 goal in 86% of their home matches in Superligaen. 67% of Vejle BK’s points have been earned at home in Superligaen. Vejle BK have scored 73% of their goals at home in Superligaen. Metz have won 75% of their matches in Ligue 2. 67% of Auxerre’s matches had under 2.5 goals in Ligue 2. Auxerre have lost 67% of their matches in Ligue 2. FC Köln have scored in each of their last 5 away matches in II Bundesliga. Hamburger SV have failed to score in their last 3 home matches in II Bundesliga. FC Köln conceded at least 1 goal in each of their last 6 home matches in II Bundesliga. Bodoe/Glimt have failed to win in their last 6 matches in Eliteserien. 70% of Lillestrøm’s points have been earned at home in Eliteserien. Bodoe/Glimt have scored 72% of their goals at home in Eliteserien. Trelleborgs conceded at least 1 goal in each of their last 20 matches in Allsvenskan. Djurgarden have scored in each of their last 5 away matches in Allsvenskan. Dalkurd conceded at least 1 goal in 79% of their home matches in Allsvenskan. Ostersunds have scored 26% of their goals in the first 15 minutes in Allsvenskan. Sirius conceded at least 1 goal in 93% of their home matches in Allsvenskan. Dalkurd have lost 57% of their home matches in Allsvenskan. Djurgarden have scored in 71% of their away matches in Allsvenskan. Trelleborgs conceded at least 1 goal in 100% of their away matches in Allsvenskan. Ostersunds have scored in 86% of their away matches in Allsvenskan. Sirius have conceded the opening goal in 71% of their matches in Allsvenskan. Djurgarden have drawn their last 3 away matches in Allsvenskan. 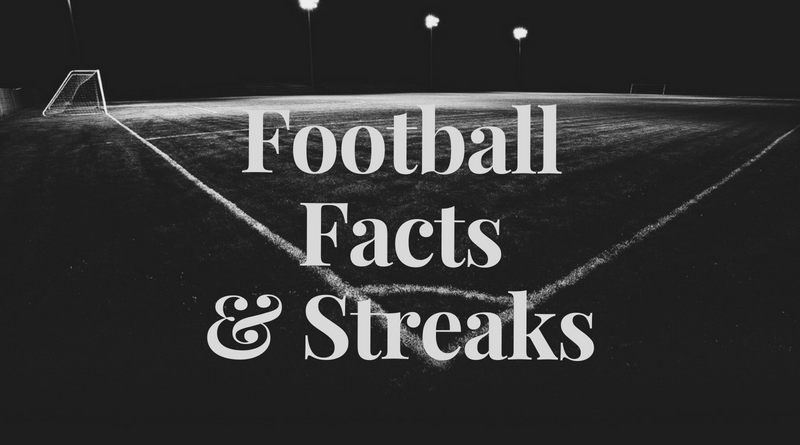 68% of Trelleborgs’s matches had over 2.5 goals scored in Allsvenskan. Djurgarden have been undefeated in their last 5 away matches in Allsvenskan. Trelleborgs have failed to win in their last 18 matches in Allsvenskan. Djurgarden have scored 35% of their goals after the 75th minute in Allsvenskan. Sirius conceded at least 1 goal in each of their last 13 home matches in Allsvenskan. Konyaspor conceded at least 1 goal in each of their last 5 home matches in Super Lig. Rizespor have scored 67% of their goals in the first half in Super Lig. 41% of Sivasspor’s conceded goals occurred after the 75th minute in Super Lig. Goztepe have won their last 4 home matches in Super Lig. Konyaspor have scored in each of their last 5 away matches in Super Lig. Rizespor were leading at halftime in 60% of their matches in Super Lig. 40% of Rizespor’s conceded goals occurred after the 75th minute in Super Lig.